The French defender is ready to join the first team. 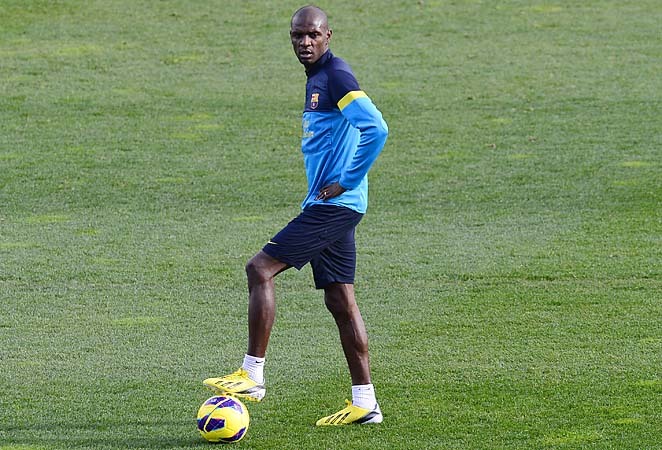 Barcelona player Eric Abidal underwent a liver transplantation a year ago, returning to training in December. The 33-year-old has been working on his physical form for two months and recently was cleared to play. “After this morning’s training session Eric Abidal has received the welcome news that he has the medical all-clear and is therefore available to the team for the final part of the season, ” reads the club’s official statement. The next fixture of the Catalan club isLa Liga game against Sevilla on Saturday.